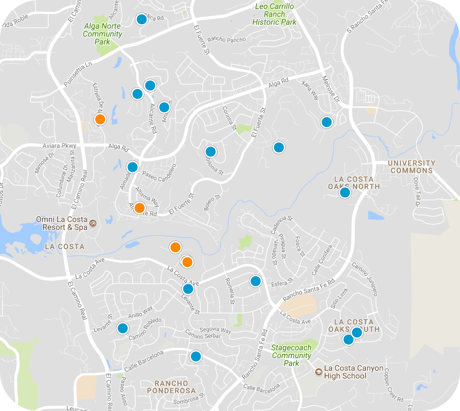 San Diego Home Sales website search offers all La Costa homes, condos and foreclosures for sale. You are able to get new property listings daily that meet your search criteria. 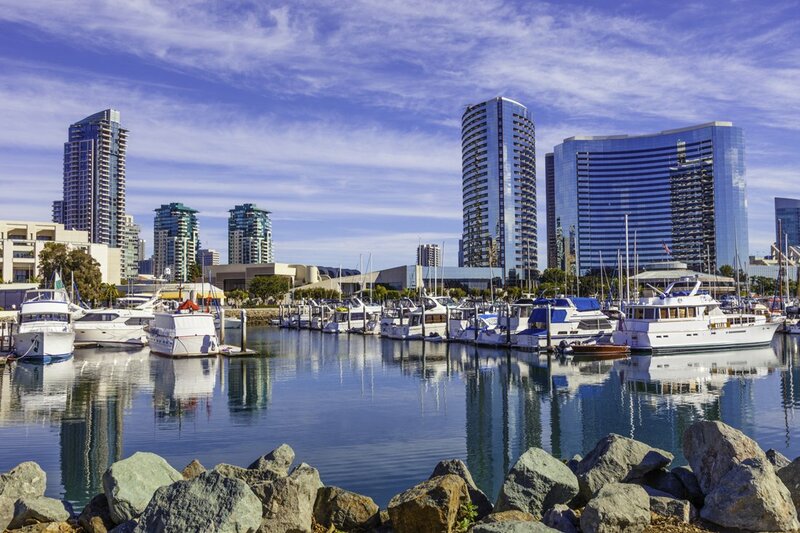 La Costa is a residential community within the city of Carlsbad, California, in the Southern California region near San Diego, just about 35 miles north of downtown San Diego along the Pacific Coast and about 90 miles south of Los Angeles. The community is named after its golf and tennis resort that is its heart and soul, the La Costa Resort and Spa. The community boundaries are generally accepted to be south of Alga Road, north of Olivenhain Road, east of El Camino Real and west of a portion of Rancho Santa Fe Boulevard. The community is primarily residential only, though there are some shopping centers and upscale boutiques as well as higher-end dining options. The resort regularly hosts world-class tennis events and competitions, and it is also home to the Chopra Center, run by Dr. Deepak Chopra, a popular New Age author and speaker. The community lies at the crossroads for school districting, so four districts serve children here: schools within the community may be located in one of four school districts. Children from Encinitas, Rancho Santa Fe, the southern portion of Carlsbad and other nearby areas are assigned to La Costa Canyon High School and San Dieguito Academy. Student who lives on the northern side of the golf course are assigned to San Elijo Middle School and San Marcos High School. The resort sits on 400 green acres and is home to two championship golf courses. It is the community's major employer, with 1,000 workers tending to its various sites and needs. It is also children-friendly, with six swimming pools, the Splash Landing Pools and Slides and a club for kids with a variety of activities and events—Kidtopia. Other draws at the resort include the spa, a high-end salon, and two top restaurants. Legoland and the Carlsbad outlet mall are also in the community, just six miles away from the resort.